MEN AND WOMEN WANTED! If you are money motivated, enthusiastic and have any direct, in-home sales experience, are looking for a second income or a full time income then we want to talk to you. Security systems, camera surveillance systems and interactive services are in high demand by homeowners and small businesses today. We are looking for men and women to join us in protecting individuals and families with our professional, wireless security systems and surveillance camera systems that they can control remotely from their smart phones, tablets and computers. We have opportunities in 9 counties covering Western PA and Eastern OH. SECURITY & SAFETY SALES: Our Independent security consultants share the features and benefits of our affordable security systrems and surveillance camera systems with homeowners and small business owners. Earn outstanding commissions on our security system and surveillance camera system sales and monthly volume bonuses. We provide comprehensive training. Call us at: 888-695-7277 or click here to email us for more information. 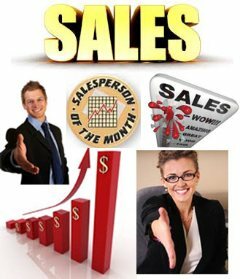 Sales opportunities available for: Lawrence County, Beaver County, Mercer County, Venango County, Crawford County, and Erie County. Serving our OH friends in Mahoning County, Trumbull County, and Ashtabula County. Contact us for some FREE information on our Sales and Installation opportunities! 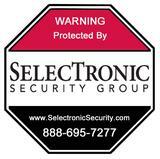 Select Professionalism, Select Integrity, Select Affordability... SelecTronic Security Group!